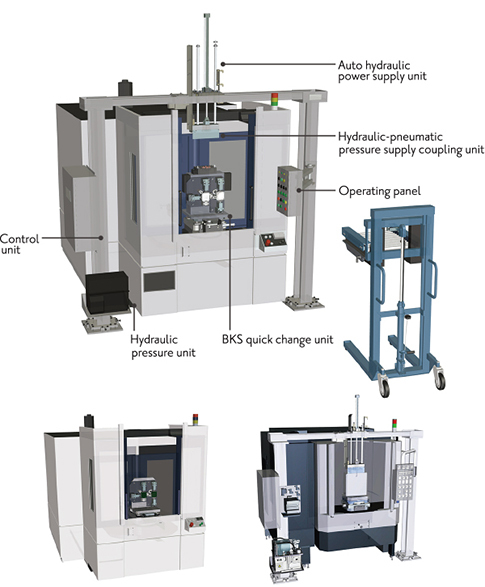 This quick-change system for horizontal machining centers is available in various types, such as the automatic hydraulic supply device and the manual hydraulic supply type, etc. A standard system comes Mother Base and two Baby Plates. 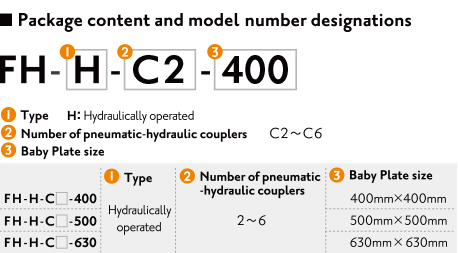 Details of a replacement cart,device,pallet size,hydraulic supply method and carrying method,etc., are to be determined at a specification meeting.